For is location, Ourense, the urban reference of inland Galicia, is a communications hub that connects the Atlantic Northwest with the rest of Spain. In addition, it maintains close contact with Portugal, whose border is only 60 km away. The train is one of the best options to get to Ourense; not in vain this is a place with a long railway tradition. Well connected with Spain, it has been the first Galician city to enter the High Speed system, which puts it just 4 and a half hours from Madrid, 35 minutes from Santiago de Compostela and 1 hour from A Coruña. From Ourense Junction Station, a beautiful road crossing the arches of the Old Bridge connects with the city centre in 15 minutes. 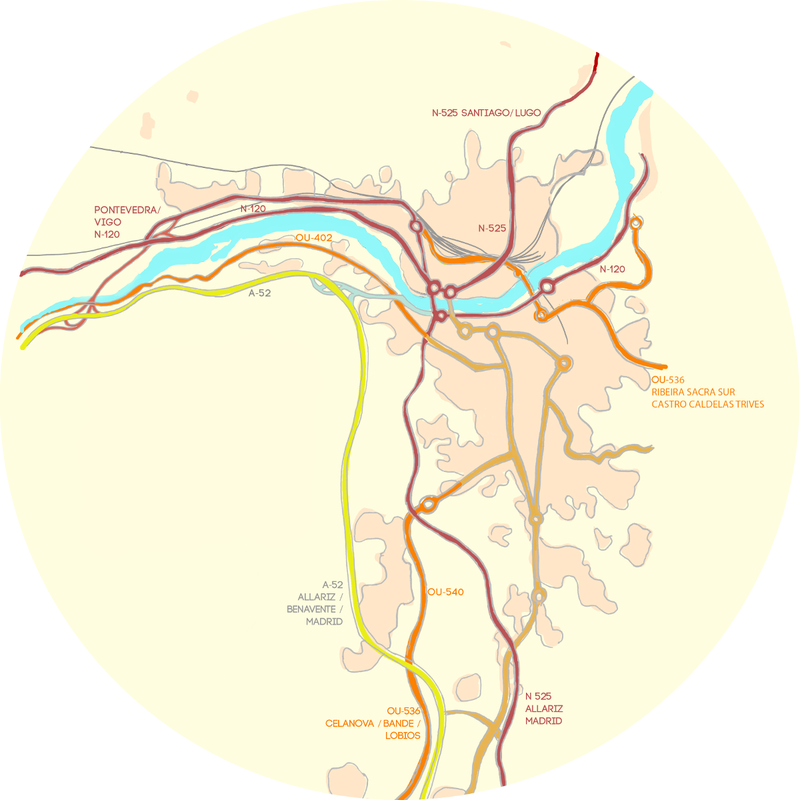 By car or by bus, Ourense has a good network of road infrastructures that facilitate the journey. The main Galician cities (A Coruña, Santiago de Compostela and Vigo) are connected by motorways and highways and are within a radius of less than 200 km. The A-52 connects the city with Madrid in just 4 hours, while Porto, the second Portuguese city, is less than 2 hours away. O Barco, Castro Caldelas, Manzaneda, Melón, Ribadavia. Maceda, Xunqueira de Ambía, Xunqueira de Espadañedo, Laza. Toen, Barbadás, Coles, A Peroxa, Vilamarín. Polígono San Cibrao + Tecnópole, Valenzá, Monterrei, Bande, Celanova, Entrimo, Lobios, Cartelle, Cortegada, Taboadela, Muíños. Allariz, Carballiño, Cea, Maside, Ribadavia, Verín, Xinzo. 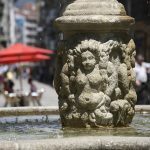 Chantada, Lalín, Lugo, Pontevedra, Santiago, Vigo. Barcelona, Bilbao, Burgos, Lleida, Logroño, Irún, Palencia, San Sebastián, Vitoria, Zaragoza. Betanzos, Curtis, A Coruña, Melide, Monterroso, Palas. 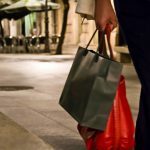 Madrid, Benavente, Puebla de Sanabria, Monbuey, Tordesillas. 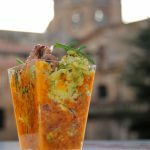 Ponferrada, Salamanca, Sevilla, Valladolid, Zamora. Germany, Belgium, France, United Kingdom, Netherlands, Switzerland. Germany, Belgium, France, United Kingdom, Netherlands, Switzerland, Luxembourg. Although Ourense does not have an airport, a good communications netwok makes the three international Galician airports just a step away. Peinador airport in Vigo is 90 km away, Lavacolla in Santiago de Compostela at 115 km and Alvedro in A Coruña at 176 km. It is also possible to travel from Sá Carneiro, in Porto, just two hours away. 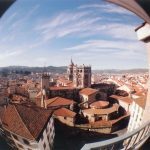 With little steep slopes and a longitudinal layout, Ourense is a city of short distances, comfortable to walk on foot and without hurry; you will not have to use the car too much. If you need it, you will be pleased to know that traffic in the city is fluid, and parking is relatively easy. Train Station (Avda. Marín, s/n). For longer journeys, the city has a network of urban buses with several routes that comfortably cover the north-south axis of the city. 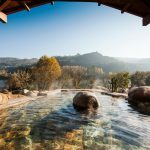 Essential if you want to visit the thermal area of river Minho is to use the Thermal Train, departing from the Main Square. You will also find taxi stops at different strategic points. 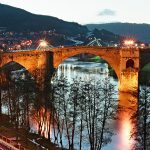 Por sus características, Ourense es también una ciudad ideal para los amantes de la bicicleta, con hermosas rutas como las que discurren por las sendas fluviales, casi 20 km sin tráfico motorizado. In the city there are private companies that, in addition to rental services, offer routes and activities on two wheels. You will also have the opportunity to participate in some of the outings and thematic activities that are regularly organized by different associations and fan groups. Alquiler de bicicletas – Cierra sábados tarde y domingos.